Employers, who are waking up to the mounting evidence documenting the impact of insufficient sleep on productivity and safety, are responding with new programs to help employees sleep better. Organizations are making these investments because improving sleep can lead to dramatic gains in health, energy, creativity, mood, memory, and resilience. I would like to report some preliminary results from the new sleep coaching service we have developed at Comprehensive EAP to help individuals improve their sleep. Guide: Make an accurate self assessment of sleep quality and satisfaction which will guide the direction of coaching. Understanding: Teach a clear understanding of the vital importance of sleep and the rewards of sleep improvement. 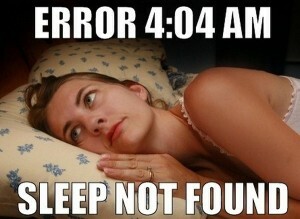 Identify: Identify sleep problems and the most probable sources of those problems. Detail: Describe in detail the specific changes that will improve sleep. Empower: Empower the client to initiate and sustain those specific changes. Employees have the choice of scheduling their 20 minute (telephonic) sleep coaching sessions during work hours or while at home. Detailed questionnaires help the employee and the sleep coach get an accurate picture of sleep quality before the first session. The success of any wellness program requires convenient access and measurable results. The initial responses to our new sleep coaching program show promising results on both fronts. Rick Clerici C.Ht. certified hypnotherapist and certified clinical sleep educator is the Senior Sleep Consultant at Comprehensive EAP. Rick has blended strategies and insights from his hypnotic work with his sleep education experience to create a unique approach to corporate wellness programs.